i missed blogging a post yesterday. 4 days into the blog-a-thon. so i bet you think i failed. joke's on you. i meant to not blog. you see... after thinking about it (& after committing to the blog-a-thon) i decided i wasn't going to sweat it if i absolutely couldn't blog some day this month. i have always felt that this blog should be about quality, not quantity. i don't want to blog, just to blog. so i'm still on target, i'm still keeping my goals, & i'm gonna continue to blog every single day in september. that is, every day that i have something meaningful to blog about. & time to post it. i had plenty to blog about yesterday, just no time. between my two nephews' 8:30 am football games, saying goodbye to the utah fam, flying into seattle, dinner with my newlywed sister, a mariners game, & returning home at midnight - i was spent. no blogging for this girl. & we had a ton of fun with family. so glad we were able to make it down for the wedding! flying with a 4 month old is hit or miss. as soon as the plane started moving, parker hunkered down on my belly & passed out. never mind a left arm that started to tingle from loss of circulation, a leg that fell asleep, a neck that throbbed from the pain of not being able to move, & the sweat dripping down my face from having my own little personal heater on an already over-heated plane. nope, i wasn't moving an inch. that little boy was sleeping. that meant he was happy, i was happy, & all the passengers around me were happy. and that my friends, is a recipe for a successful flight. my mountain. beautiful mount rainier. ahhhh, home sweet home. & of course, p-ray & i were both pretty happy to see sam again. 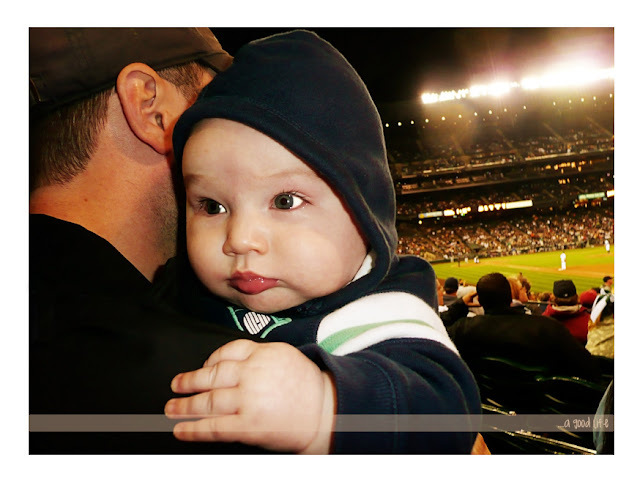 that little boy clung to him all night at the m's game for dear life. & in case you're wondering, the mariner's lost. argh. don't get me started. we got a new blog address! i registered a domain name for the blog so i could get rid of the old one, which used our full names. hopefully that'll give us a little more anonymity here on out. bookmark it, follow it, scream it from the mountain tops. & in case you are the badge collecting sort, i updated the blog badge. 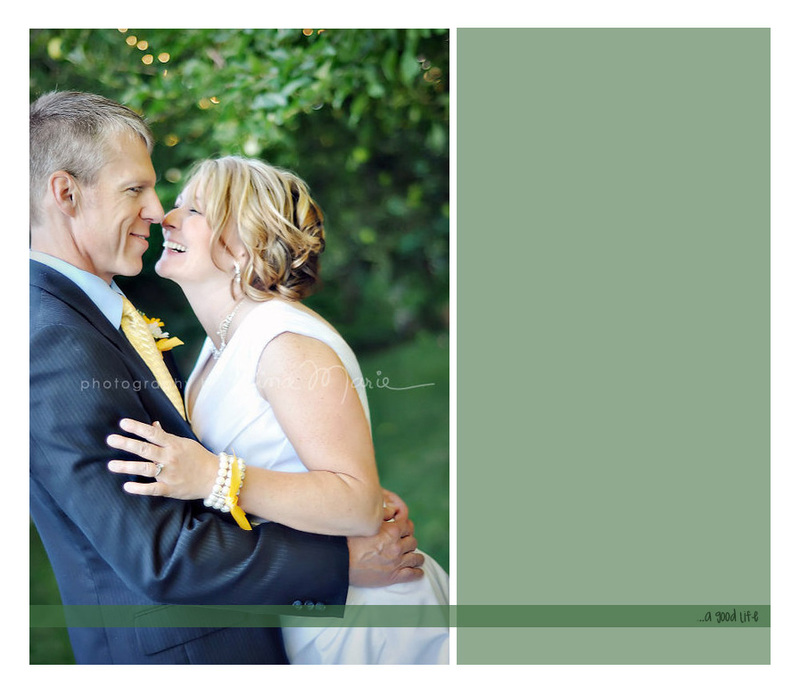 who wouldn't want a little piece of p-ray cuteness on their blog? tomorrow is the last day of our p-ray poster giveaway! a winner will be picked tomorrow night at 10:00 pm PST, so feel free to enter right up til then. winner will be posted tuesday morning. & now i must go to bed, because i have a teething 4 month old who will most likely be up in an hour or two. and then again. and then again. but that is a whole other blog post. vote! vote! vote! you guys rock. we are powering through the 60's. yeah-er. Awesome. We went to see the M's Friday and Sam got mad we didnt call him. Sorry Samuel L. By the way, #68 and Featured Blog on page 2!!! Awe, time goes so fast! What a fun week. Glad Parker was good for you on the plane. We will miss you here in Zion ;) Oh, and I made the blog change and added p-ray's little button or badge or whatever it's called to my blog! Love ya! It was a most special week and with you are p-ray here it took to the highest level - thrilled that Sam was willing to share you! Happy you had a peaceful flight home & you are right about that majestic mountain! I will put your button on my blog and maybe even get back into blogging myself... Miss & love you! im adding your blog button RIGHT NOW! and your are more that welcome to the next bloggy baby meet up! you live in the olympia area? right? I missed day three of the blog-a-thon and blamed it on being sick. I really was sick but agree with you - if I don't have anything to blog about or if I'm totally exhausted, I'm going to skip a day here and there. Parker looks totally content to by flying with his mama. I don't know if I'd have the guts to try that with Kale! Stopping by from the TTA blog hop. I'm your newest follower. Your little boy is soooo cute. Love your header also. Look forward to reading more. Following you now from Tuesday Tag-Along! Please follow my blog of inspiring messages, all original work of mine. Love your take on the blog-a-thon. Totally is the essence of the challenge. To recognize when it just isn't going to happen and be ok with that! 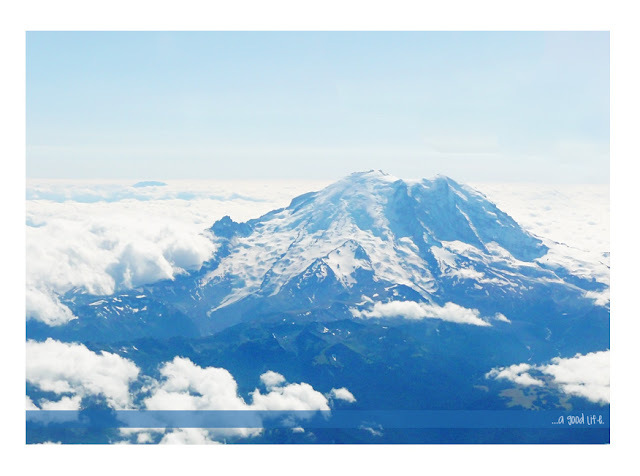 Love that picture of Mt Rainer! Beautiful. And so glad the flights went well. We flew with our little one at 3 months and she just slept the entire time. So easy!